Leeds ace & Sheff Utd talisman feature: The best over-30 Championship XI – Agreed? 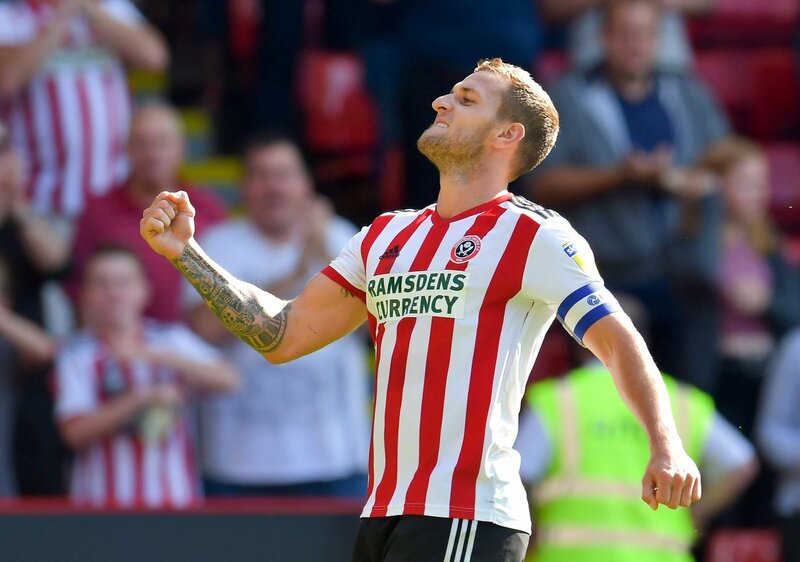 Right across the Sky Bet Championship players are continuing to prove that age is just a number, with the likes of Billy Sharp and Pablo Hernandez at the forefront of the promotion race. Both those players are in pursuit of a place in the Premier League next season, and whilst a lot of focus is on the up-and-coming talent in the Championship, those over 30 are seriously impressing. We start with Middlesbrough goalkeeper Darren Randolph, who at this stage of the season has conceded just 24 goals in 32 outings. His teammate George Friend takes up our left-back spot, whilst working from the left to right is Blackburn Rovers’ Charlie Mulgrew, Aston Villa’s James Chester and Sheffield United’s Chris Basham. A Middlesbrough theme continues in midfield, with John Obi Mikel and Jonny Howson featuring, with Pablo Hernandez operating ahead of that duo. The Leeds United playmaker has seven goals and 11 assists to his name this season, making him one of the division’s most productive midfielders. In attack, Kamil Grosicki features after an impressive couple of months with a resurgent Hull City. Nottingham Forest’s top goalscorer Lewis Grabban takes another forward position, with the evergreen Billy Sharp the focal point of our attack after scoring 22 goals for high-flying Sheffield United.